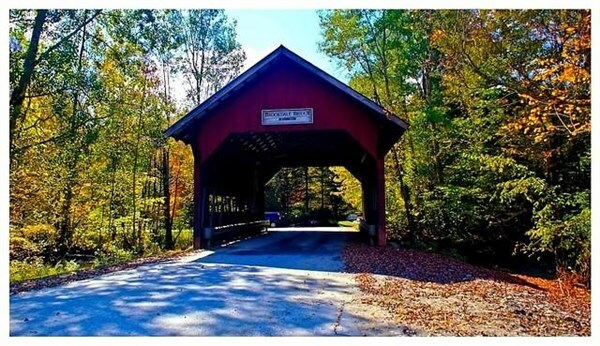 Join Gunther Tours as we travel to Vermont and New Hampshire's rich history, diverse landscapes ranging from beautiful farmland to majestic mountains and inland lakes, a scenic boat cruise and a delightful train excursion, all highlighted with the colors of fall! Welcome Aboard! Enjoy the picturesque fall foliage along every turn of the highway as we travel to "The Green Mountain State", Vermont. Before checking into the North Star Lodge for the next two nights, we are treated to a delicious dinner at a local restaurant that serves up great local flavors. Our accommodations are centrally located in the town of Killington, Vermont, and are set amidst spectacular mountain views. After breakfast, we meet our step-on guide, and depart for a day of sightseeing in Vermont. We begin at Ben & Jerry Ice Cream Factory in Waterbury, Vermont. To provide you with the best possible tour experience, first we will view a "moo-vie" about the company's history. The tour continues at a glassed-enclosed mezzanine that overlooks the production room floor. From our bird's eye view we will see the production of Ben & Jerry's famous ice cream while listening to an explanation of the ice cream manufacturing process. Then it's off to the "Flavoroom" to indulge in a sample tasting of the flavor of the day! Next enjoy a delicious buffet luncheon and Austrian pastries served at the luxurious Trapp Family Lodge. Following lunch, we meet with the resident expert on the Trapp Family history, for a Trapp History Tour. An informative talk about the lodge and property is included. We will learn about the Trapp Family members, where they are today, and what they are doing. Next we will have some leisure time to explore the picturesque New England community of Stowe Village, and browse its many specialty shops and restaurants. Before returning to the lodge, we conclude our day of touring with a photo-stop at a covered bridge. A dinner stop will be made en route to the lodge. Dinner is on your own. 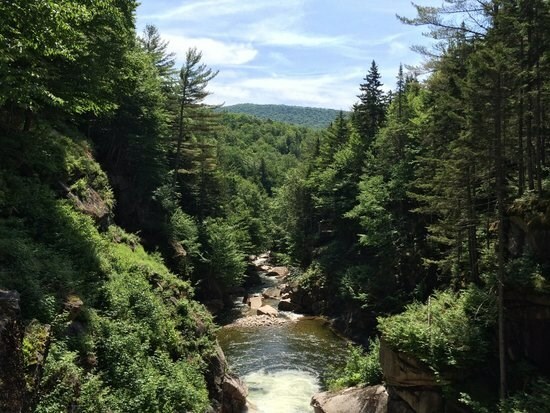 After breakfast, we meet our step-on guide, and travel to "The Granite State", New Hampshire, stopping along the way at the 165-foot deep, mile-long Quechee Gorge, Vermont's Little Grand Canyon for a photo-stop. Upon our arrival in Lincoln, New Hampshire we board the Loon Mountain Gondola. 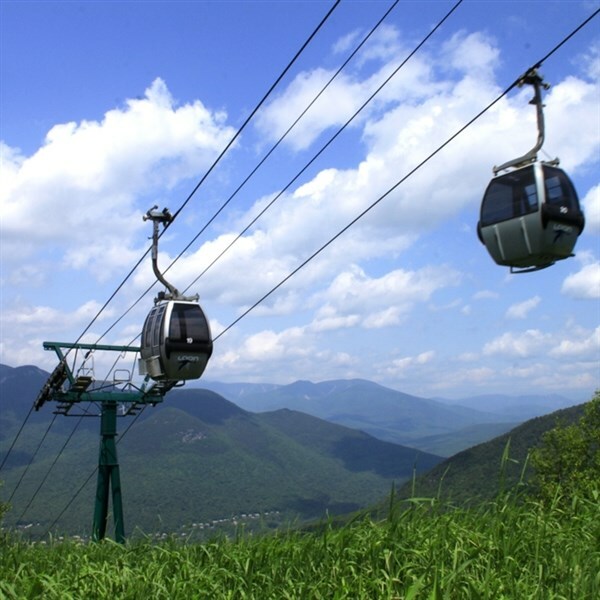 We'll ride New Hampshire's longest sky ride to the summit for a spectacular panoramic view! The next stop of the day will be a visit at the Franconia Notch Visitors Center where we will view an orientation film and exhibits about the State Park and the White Mountains. Also, we will visit the Basin. Thousands of years of rushing water has eroded the rock into a smooth, circular cave-like formation. Below the Basin is another water-eroded rock formation called the Old Man's Foot. 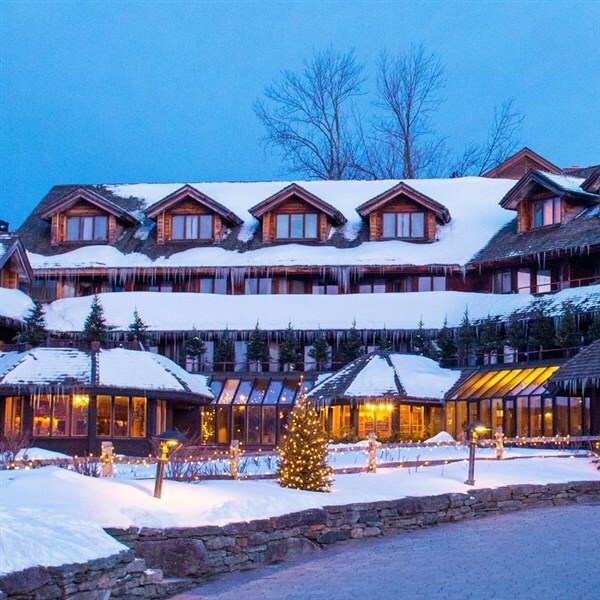 After checking into the Black Bear Lodge in Waterville Valley, New Hampshire for the next two nights, you will have time to unwind and freshen up before we go out for a delicious dinner. Later we return to the lodge for a welcome reception, and a screening of the movie "On Golden Pond". After a hearty continental breakfast, we meet our step-on guide, and depart for a day of sightseeing in New Hampshire. We begin on board a pontoon boat for a narrated cruise on Squam Lake. This unforgettable boat cruise has something to delight everyone! 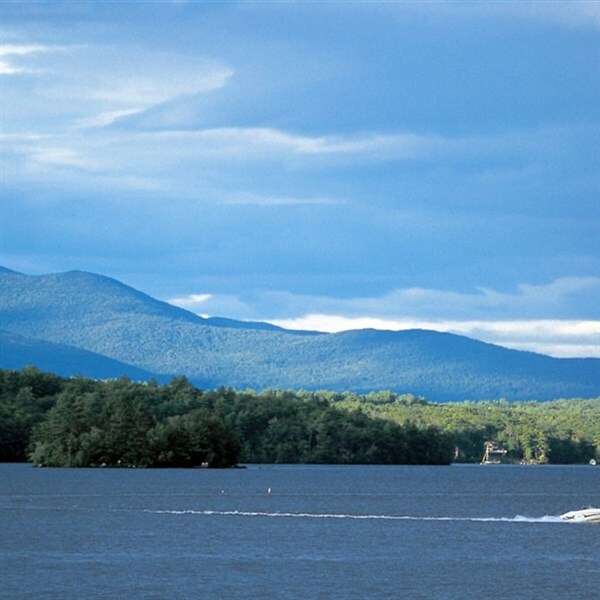 Learn about the natural history of the lake, the wildlife that makes Squam so special, and the people who have enjoyed these lakes for over 5,000 years. View locations where the movie "On Golden Pond" was filmed over 30 years ago. Watch for Common Loons, Bald Eagles, and other wildlife. Lunch is on your own. Next we travel to Moultonborough, New Hampshire and have some leisure time to explore the Moultonborough Country Store. A visit to New England isn't complete without a stop at the Moultonborough Country Store for an eclectic mix of gifts, candy, and cast iron signs and hooks. The store is among the oldest in the country and one of the oldest surviving businesses of any kind. It has been the scene of town meetings in the early 1800's, and again in the 1900's; the library; post office for over 100 years; and a stage stop. Our final stop today will be in Meredith, New Hampshire to climb aboard the Lake Winnipesaukee Scenic Railroad for an exciting excursion while dining on a roast turkey dinner. The relaxing train trip travels along the shoreline of the lake, and provides terrific views of this sparkling lake and its summer cottages. Following the train ride, we return to our lodge for a restful night's sleep. After a hearty continental breakfast settle back and enjoy a movie on our drive home, while reminiscing about Vermont and New Hampshire's rich history, diverse landscapes ranging from beautiful farmland to majestic mountains and inland lakes, a scenic boat cruise and a delightful train excursion, all highlighted with the colors of fall!